People are generally most familiar with C.S. 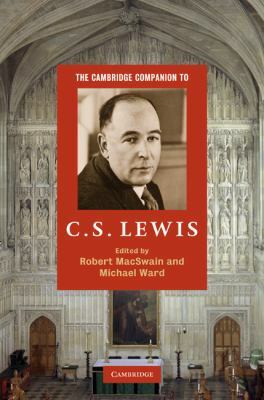 Lewis either as the author of the children’s series The Chronicles of Narnia or as a writer of popular Christian classics like Mere Christianity. However, aside from these literary roles, he was also a scholar of medieval and renaissance literature, a literary critic, a moral philosopher, a science fiction author, and a poet. This collection of essays offers a critical guide through Lewis’ multifaceted career. It brings together scholars from various disciplines to evaluate the strengths, weakness, and overall impact of Lewis’ literary output. As a fan of C.S. Lewis, I found these essays extremely enjoyable and very helpful in gaining a broader perspective on his work. I particularly found two of the more critical essays interesting. Stanley Hauerwas gives a pacifist critique of Lewis’ views on war in “On Violence,” and Ann Loades’ “On Gender” takes issue with his writings on women’s roles. Lewis is such a beloved figure that he often receives more reverence than critical appreciation. Both these essays (and most of the others) offer the latter, and I found this to be one of the major strengths of the volume. Anyone who is looking to know more about neglected aspects of Lewis’ writings would do well to consult it.